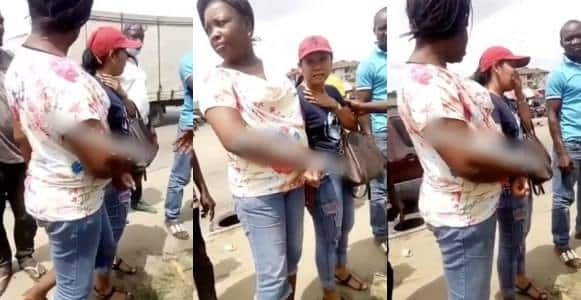 There was serious drama at Cele, Okota, Lagos, yesterday, after a foreign woman ran out of her matrimonial home in an attempt to return to her country. The woman who looked Asian, said that she got tired of the maltreatment from her husband and his family. She refused all entreaties from her in-laws as she insisted on leaving Nigeria.